At the June 7th orientation day, the 2016 AISP interns enjoyed “speed meeting” partners and staff from participating firms. 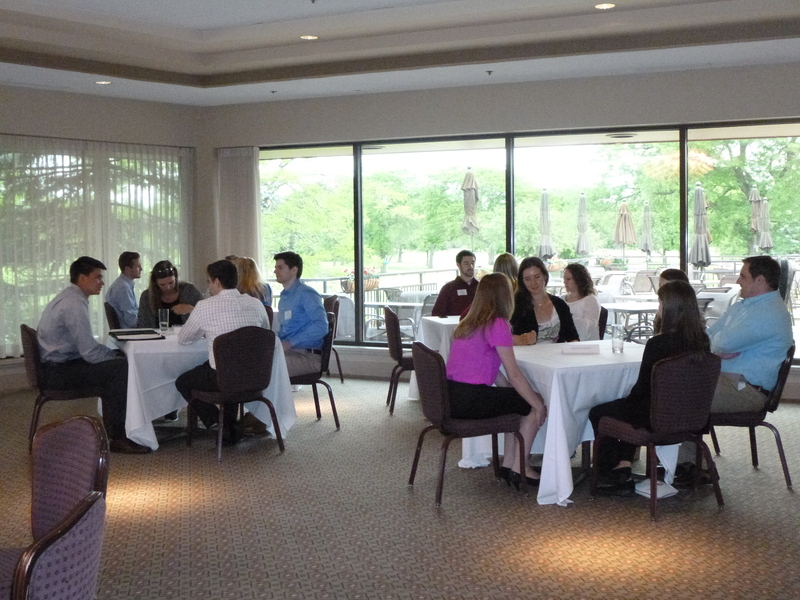 June 7 marked the start of the fifth year of this unique program with an Orientation Day at Ravinia Green Country Club. As part of the orientation, the interns were able to meet with staff and partners from each of the firms during “speed meeting” sessions. AISP, which started as the brainchild of Allen Bolnick, CPA and Weltman Bernfield member, is a collaborative effort among six Chicago-area, small to midsize CPA firms. Eight to twelve interns have participated each year. Of the 40 interns who have been through the program, 19 accepted job offers from participating firms. The interns will spend the next several weeks traveling to each firm to learn about various accounting topics, such as sales tax, payroll tax, QuickBooks, S-corp tax, audit and valuations through presentations and exercises. At the end of the program, the interns experience a couple of weeks of hands-on/shadowing work to better understand what happens on a day-to-day basis at the firms. For more information on AISP, visit accountingisp.com. This entry was posted in General information on June 8, 2016 by AISP Coordinator.